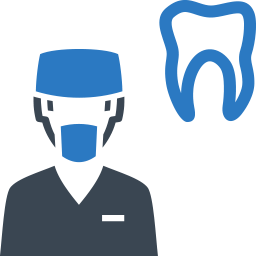 Most health insurance policies do not cover dental procedures, but a dental plan can be added on. But do you really need dental insurance? There are many pros and cons of having dental insurance. Many people who pay for dental insurance don’t end up needing it, and it can be expensive. If you just need cleanings once or twice a year, it could be cheaper just to pay for it out of pocket, depending on the plans available to you. Cleanings are usually around $100 or less, and most people need cleanings every 6 months. Tooth cleanings may be inexpensive, but dental procedures usually are not. If you have a root canal, a simple cavity, or need crowns, you could pay a few hundred to a few thousand dollars out of pocket if you do not have dental insurance. Many dental procedures can be unexpected, so it could be better to be safe than sorry so you don’t have a huge dental bill to pay for. Many dental insurance plans will cover all of your routine visits, but they will only cover part of major procedures. Since dental procedures can be costly, having dental insurance to alleviate some of that cost can help, but be aware of what an insurance company does and does not cover before signing up. Not all dentist offices will accept whatever insurance you have, and some don’t accept insurance at all. If you want to have dental insurance and stay with your current dentist, check to see what kind of insurance they accept before you sign up. Different insurance plans can vary greatly in price and be customizable to fit your needs. At Insurance Shops, we have full dental plans and discount dental plans, so you can find one that works best for your needs and budget. We hope these pros and cons of having dental insurance help with your decision. If you are interested in having dental insurance to protect yourself in case of costly dental procedures, Insurance Shops offers a variety of plans so you can find the perfect one for you.